I traveled to Virginia this past week to attend a friend’s wedding. Road trips are good times to reflect and enjoy the scenery. Road trips also help the creative mind flourish. It’s fun to see the change of scenery from the Midwest to the Southeast. From the rolling green and gold farm fields in the Midwest to the dark green, brown and blue lush mountaintops of the “Blue Ridge” mountains. I realize how energizing the colors, textures and shapes of these new surrounding are to my creativity and spirit. After this trip, I am realizing how important the change of scenery is for my creative career. As humans we tend to get focused and comfortable with our surrounding, we find comfort in the same. Yet, this comfort or same scenery does not help us grow. Traveling brings a new set of visuals. I mainly focus on logo design as we travel along. The logos that I find most appealing are circular in shape. One of my favorite logos on the trip was the Mill Mountain Coffee and Tea logo. The first shape you notice is a star. The reason for the star is due to the fact that there is a lighted star on top of Mill Mountain, which can be seen from downtown Roanoke, Virginia. I like how the star and the font for Mill Mountain pop off the circle background. The font and the star are skewed slightly to give the logo movement. Another design element that gives movement and depth are the stripes in the back. So with the stars and stripes, you get that patriotic flare. Also, I like the use of both serif and san serif fonts. 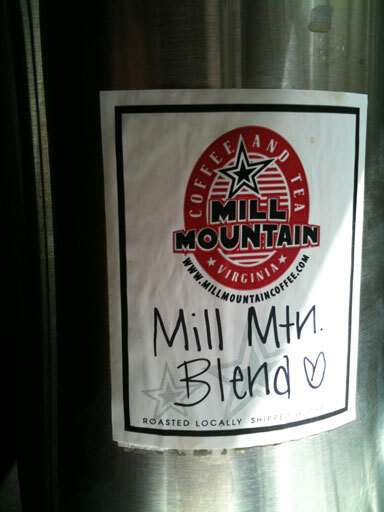 “Mill Mountain” is in a san serif font and “Coffee and Tea” are in a serif font, this give separation and hierarchy. Having Mill Mountain in a different font and color help it standout the most along with the star. Simple, southeast charm is what I love about this logo. Plus, they have great coffee and tea! Logos like this inspire me and it’s the adventure and change of scenery that led me to it! Visual design ideas are all around, sometimes you need to get away from your current scenery and find something new.